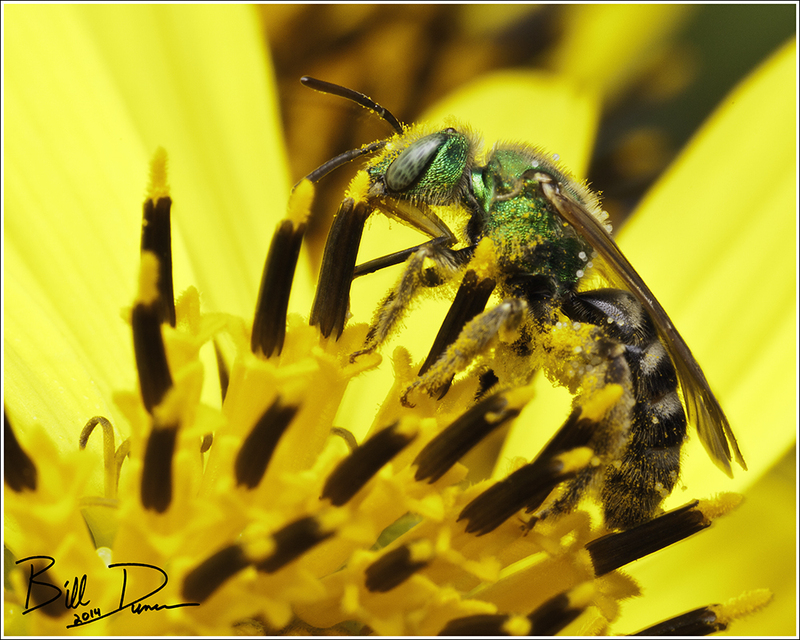 Another common visitor to native wildflower gardens are metallic sweat bees (Halictidae: Agapostemon sp.) such as the one posted here. 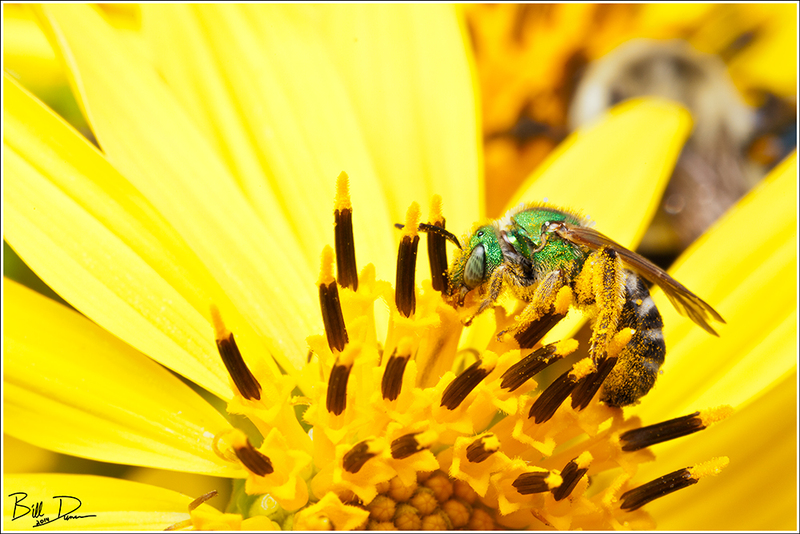 Most species are quite small and are usually very active. It is best to try and photograph these guys (like most insects) at first light on a relatively cool morning.